Dahi Wale Aloo is Vrat or fasting main course recipe. 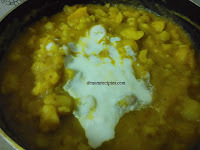 Dahi wale is easy to make and tasty to eat. It is a simple curry made from potatoes and yogurt. 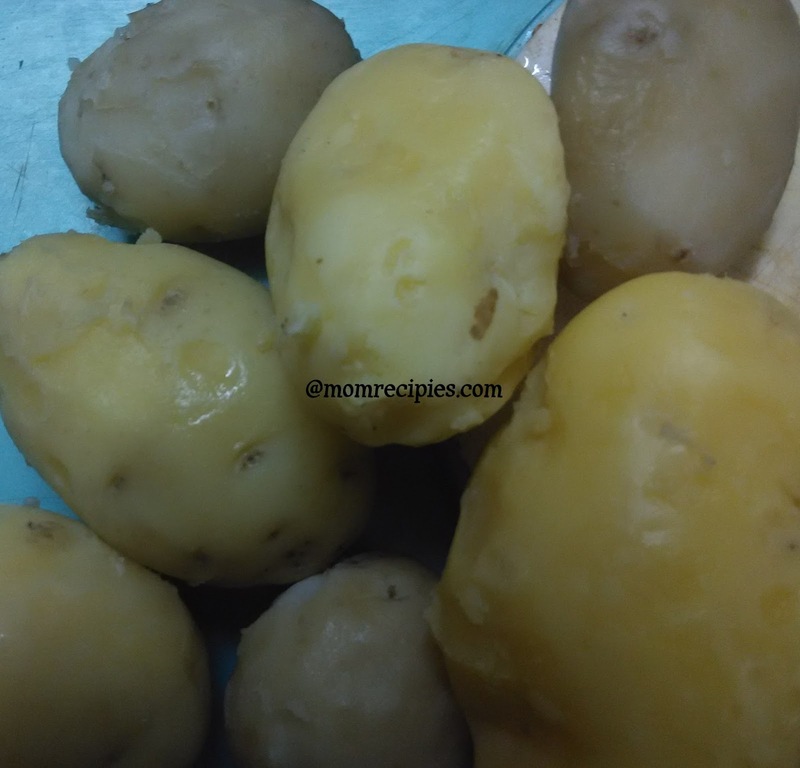 If not making for fast, then you can spice it up more and serve with rice, phulkas,chapatis,jeera rice etc. 1) First wash and Pressure cook the potatoes. 2) Then peel the boiled potatoes. Crumble the potato with your hands. You can also chop if you want. 3) Now heat 2 tbsp oil in and pan and add cumin seeds to it. 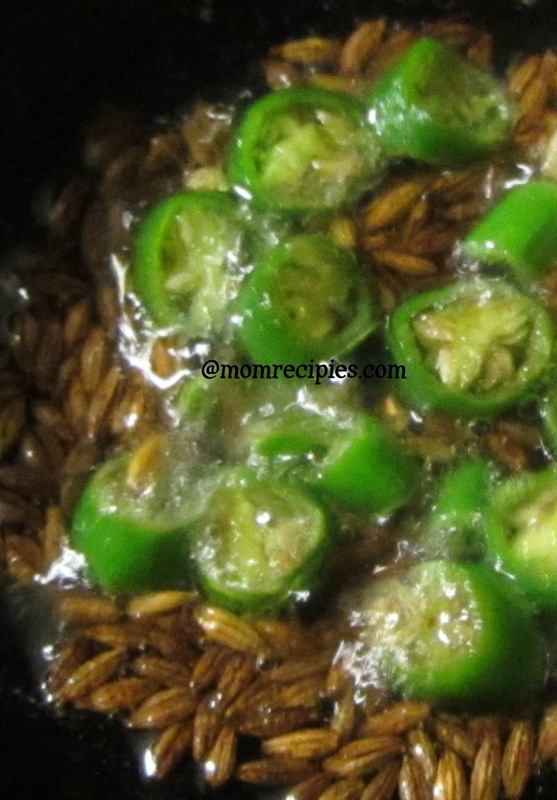 4) When the cumin seeds splutter add chopped green chilies or chilies paste to it. Saute for a minute . 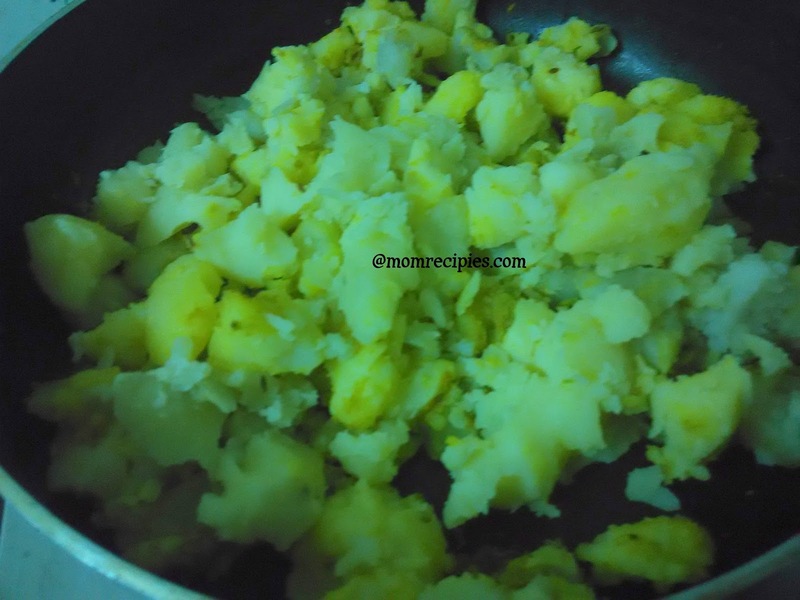 5) Add the crumbled potatoes to it. Saute well. 6) Add coriander powder, turmeric powder ,Red chilly powder to it. 7) Stir well and keep stirring until the potatoes are coated well with the spices. Keep mixing for up to 1 to 2 minutes. 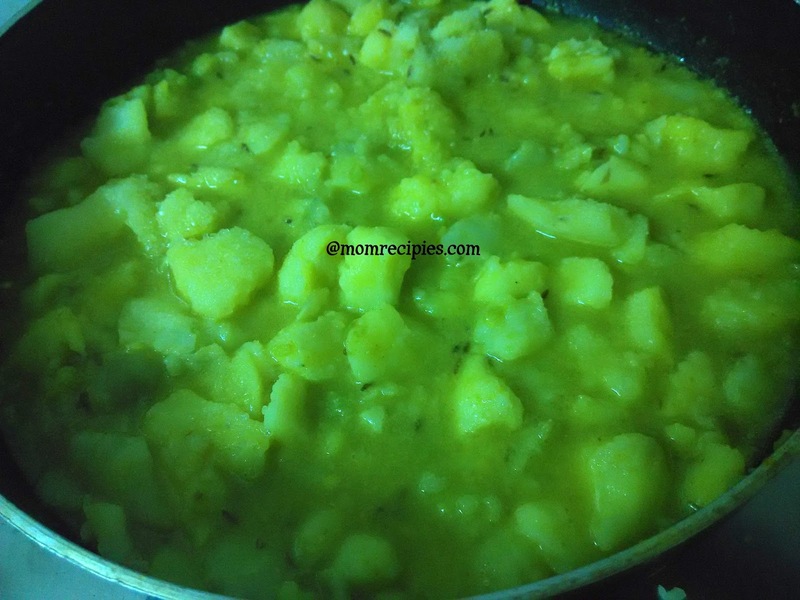 8) Now add 1.5 cups of water to the aloo mixture. 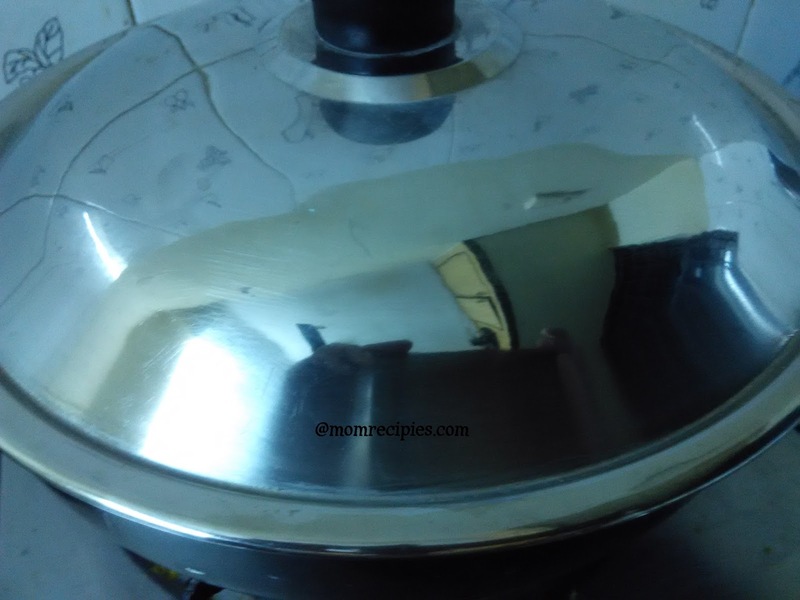 9) Cover the pan and let it simmer for few minutes. 10) After you see gentle boil in the gravy, slow the flame and add whisked curd to it and stirring constantly. 11) When the gravy boils again, add rock salt or Sendha Namak and let it cook for 3 to 4 more minutes till gravy becomes thick. Switch off the stove. 12) Sabzi is ready now garnish with chopped green coriander . Mix well. 13) Transfer dahi aloo to a serving bowl. Serving Suggestions :- If making this Dahi wale Aloo for vrat or fasting it can be served with Singhare Ki Puri , Rajgira Puri , Kuttu Ki Puri , Rajgira ka Paratha , Kuttu Ka Paratha. 1) When the gravy starts simmering, add curd to it in small parts and keep stirring continuously so that the curd don't curdle. 2) Keep the curd outside for half an hour prior before bringing it in use. This brings the curd to normal temperature if placed in refrigerator. Then whisk the curd well and use. 3) If you are making this curry for regular use not for vrat then you can spice up this curry with hing,turmeric powder,ginger etc.